Create a dog that is right for you. We take a special interest in training a dog that fits your needs. Whether you are a hunter, enjoy competing in dog events, or just wanting a companion you can live with , we are always willing to customize a program that will work for you and your best friend. 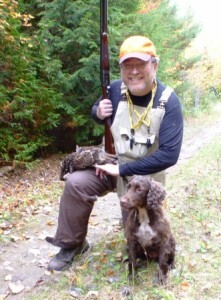 Joe DeMarkis has been professionally training gun dogs and their owners since the early 90’s. 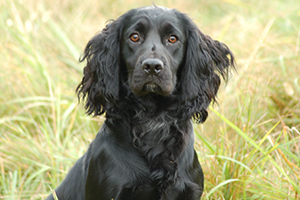 With a passion for bringing out the best that each dog has to offer and his ability to work with people, Joe has developed several gun dog training programs that utilize “user friendly” techniques for all flushing, pointing and retrieving breeds and their owners. Lifestyle obedience training is best described as creating a dog you can live with. Joe and Cheryl DeMarkis are experts in this type of behavior development. His training experience also spans AKC Field Trials with the 2012 High Point Cocker in the country and AKC Spaniel Hunt Tests with over 10 Master Hunters to his credit. Joe is also a registered AKC Flushing Breed Hunt Test judge and a qualified AKC Cocker Spaniel Field Trial judge. His Upland Flushing Breed Training Seminars are very popular because of his willingness and determination to understand and help each dog and it’s handler that is in attendance. Our guests are boarded in climate controlled, inside kennel rooms directly attached to our residence. (We can look at them from our kitchen table). Three separate fenced outside yards allows for secure and safe exercise and monitored interaction among our trainees. Your pet’s safe keeping is our #1 priority. Our Training areas vary from a large fenced facility which allows for the ever important & controlled “yard work” to a 140 acre preserve which includes 3 ponds and has been ideally developed for upland and retriever training. 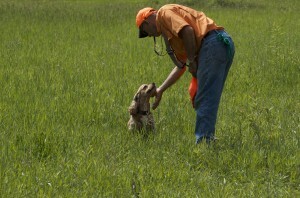 Several of our programs have been established for owner/handling in AKC Hunt Tests. With years of experience in these performance events, we take a special pride in training handlers and their dogs to success.